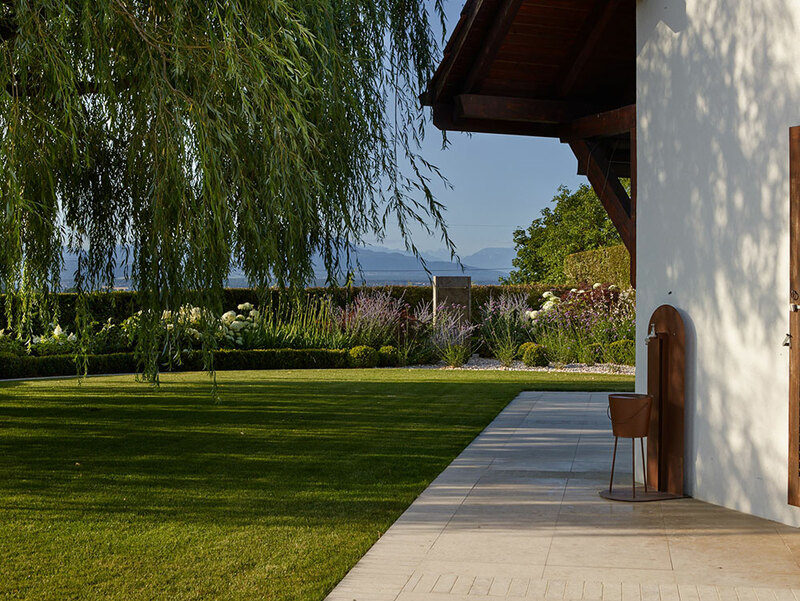 Two new gardens designed for contemporary houses close to Lake Geneva, with distant views of the Alps. Much of our work comes through referrals and word of mouth, and we see such recommendations as an endorsement of our commitment to quality and customer service. 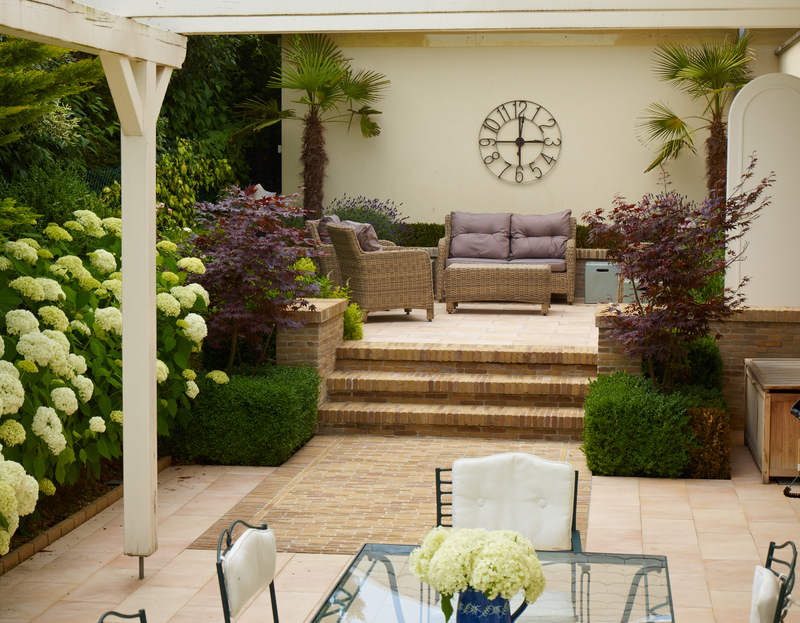 The second client had admired the completed first garden over a friend’s boundary hedge, and then commissioned Robert to design a garden for them in a neighbouring village. 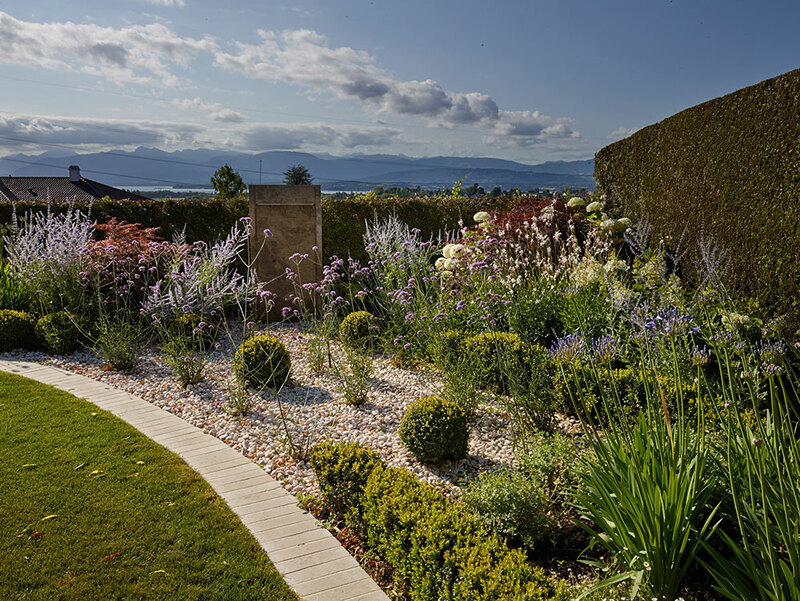 For the first garden, our aim was simply to improve the character and sense of place; our plan for the second garden gave the client a variety of spaces of different characters and aspects, while making best use of the magnificent long distance views, existing trees and other planting. 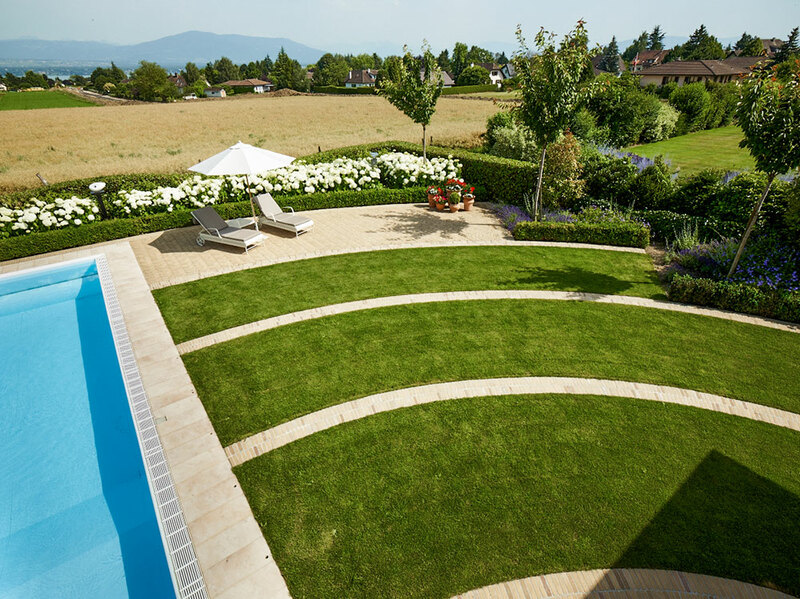 The scheme for the first garden took the two elements of existing pool and house, and linked them with bands of brick paving radiating across the lawn from the large, semi-circular bay window. 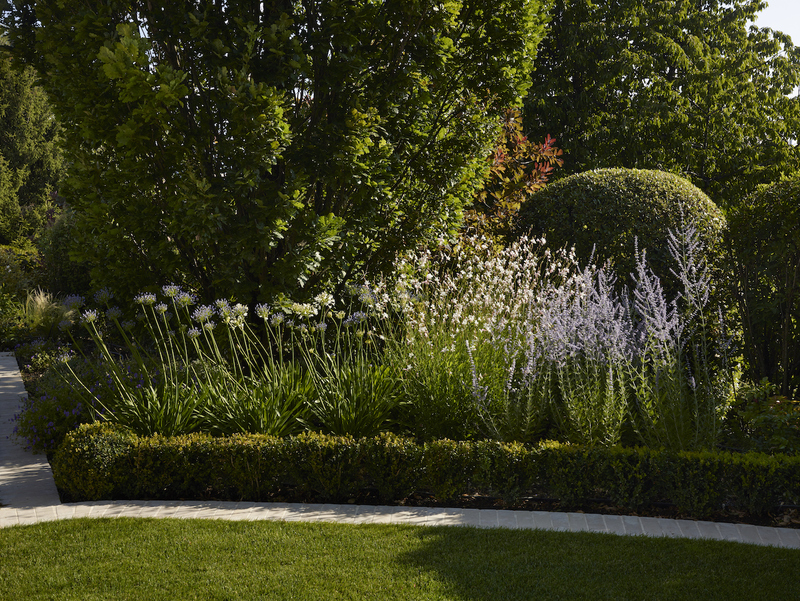 This created a uniﬁed composition with space for deep beds of ornamental planting. 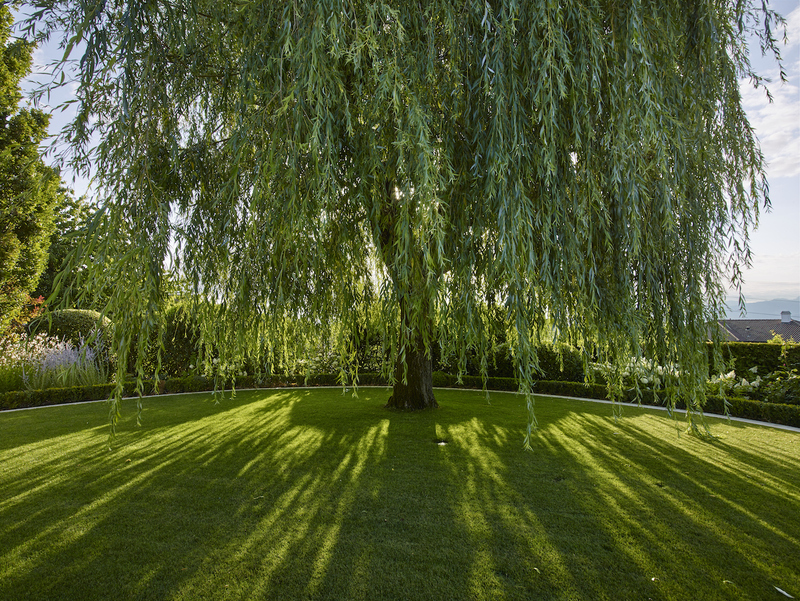 In the second garden, part of the unifying scheme is a grid of pale limestone, which runs through the lawn. 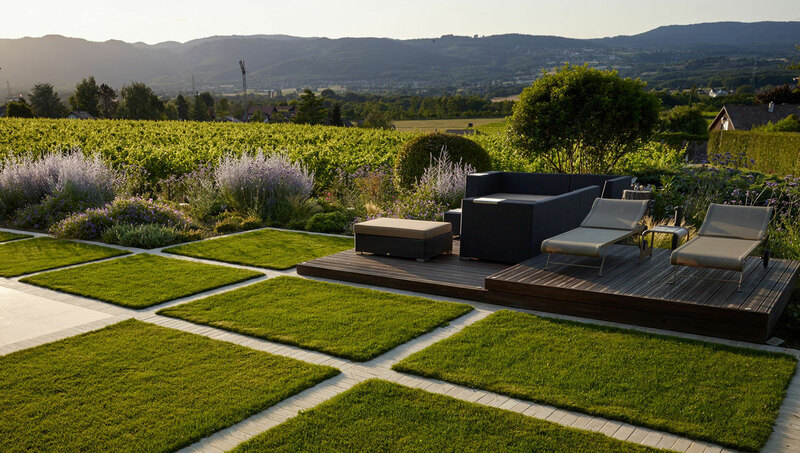 By rotating the paving and terraces, the design accentuated the longer, diagonal axis of the garden, created a more dynamic composition and exploited the best views by drawing the eye out into the wider landscape.